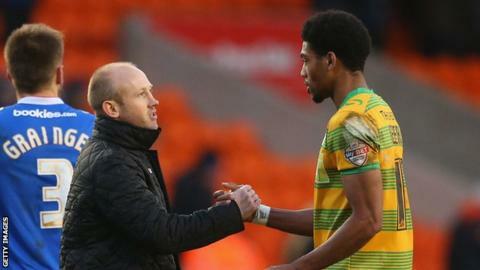 Yeovil manager Darren Way says facing mentor Roberto Martinez in the FA Cup fourth round would be "the proudest moment for me in football". The Glovers will meet Martinez's Everton if they win their third-round replay against Carlisle at Huish Park. "I know everything that Roberto is about and if I end up anything like him I would know I had done a good job," Way told BBC Somerset. "I will keep aspiring to have that same excellence and detail." Way played alongside and under Martinez at Swansea City between 2006 and 2008 as the Spaniard brought about a change in the club's style of play and philosophy. And the former Norwich City and Yeovil Town player feels it would be special to be in the opposing dugout. "I have had some good moments with Yeovil," he explained. "However, to actually go up against your mentor, someone who you have played with and who became your manager is special." Despite the excitement of possibly playing facing a Premier League club in the FA Cup, Way warned that they must concentrate on League Two as they are currently languishing in the relegation places. "When I took over as manager I had a purpose and a plan," he added. "Every game is important and the supporters say the same thing, that you've got to win the next match. "As a manager you've got to give the players a clear focus of what they have actually got to achieve and don't over-complicate it. "The objective is to stay in the league, that won't happen in the three to six weeks, it will take 22 games to make sure we get that right. "It is important for us to stay in the league, if we don't it is a disaster. I will be doing everything I can to make sure the players focus on that."